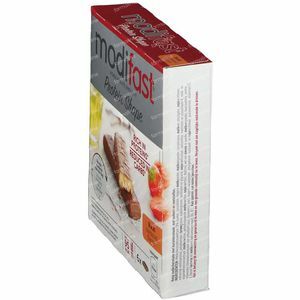 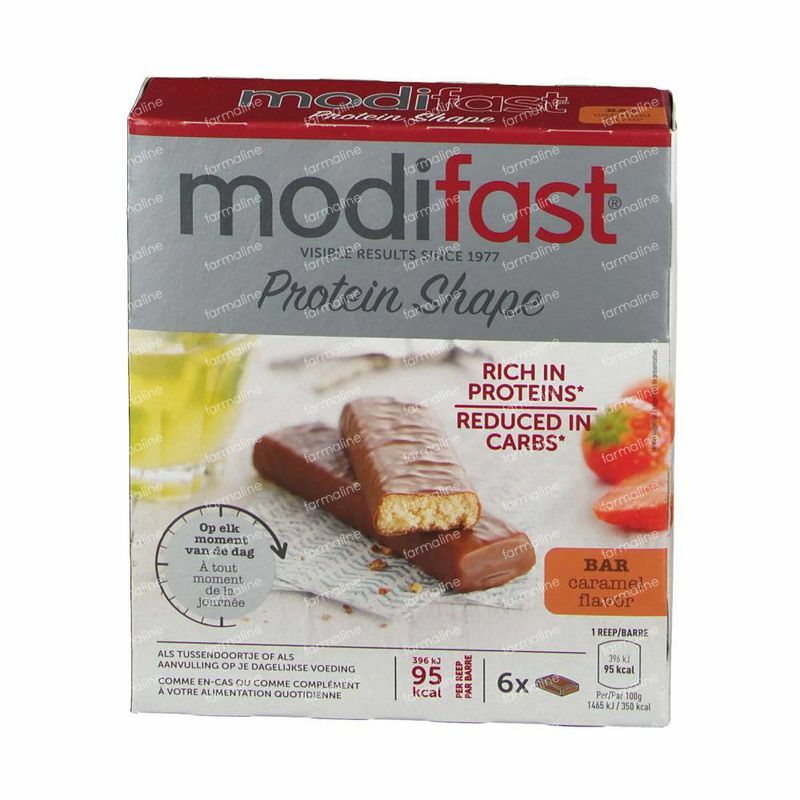 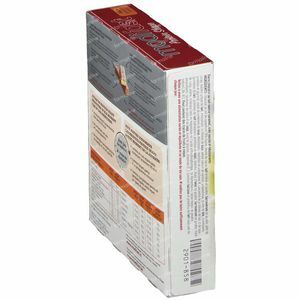 Modifast Protiplus Bar Caramel 162 g order online. 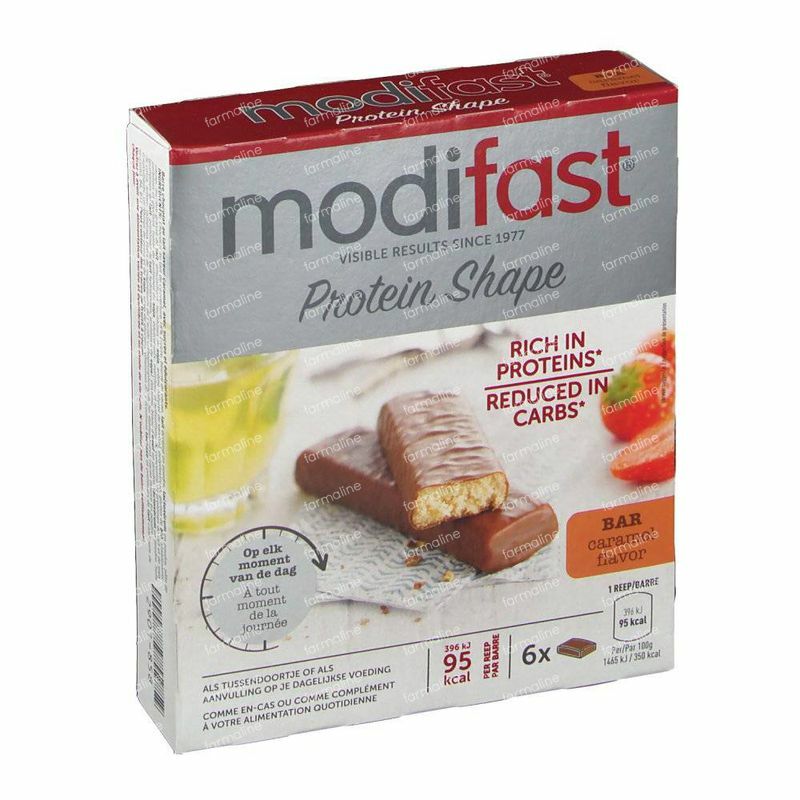 The cookies, shakes, puddings, drinks and bars are not only delicious and healthy but are furthermore packed with proteins. 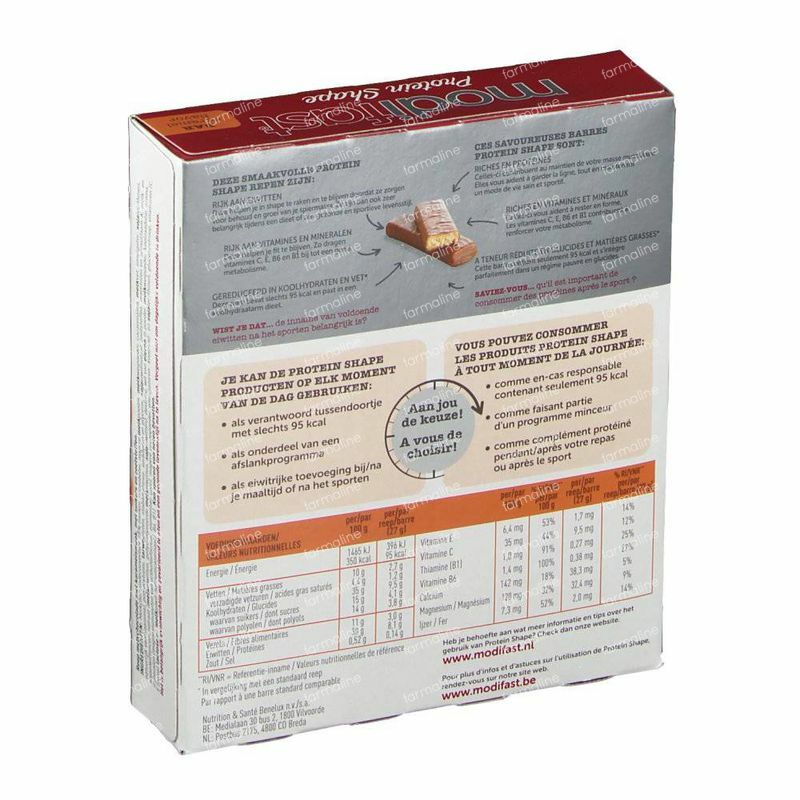 These proteins ensure you that the feeling of hunger stays away and that your muscles remain intact.The ProtiPlus 3.2.2-method alternates three rigorous days with two lighter days of dieting, on weekends normal (light)food can be consumed. 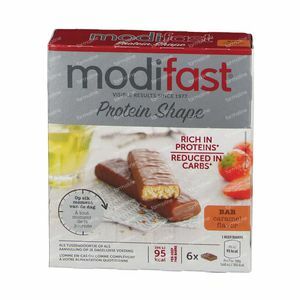 This periodic variation ensures that you can easily maintain your diet and that the yo-yo effect is limited. The slimming effect of ProtiPlus is scientifically proven. 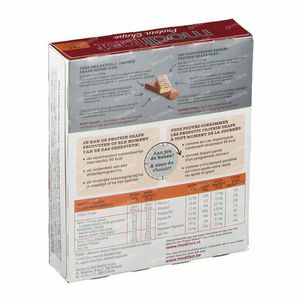 Delicious and healthy bars packed with proteins that contributes to slimming down and limiting the yoyo effect.